Everyone has at least a few great recipes they steal from Mom when they leave the nest. I am so excited to share this one with you, because it is SO good and SO healthy! Victor requests this one at least a few times a month, and it is so easy to prepare that I always oblige. 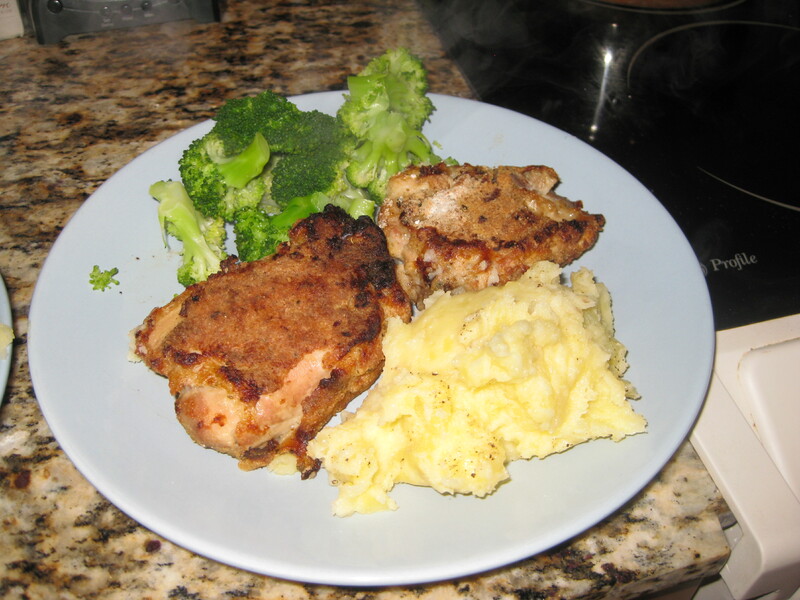 It originally came from the cookbook written by Oprah’s personal chef at the time, Rosie Daley. 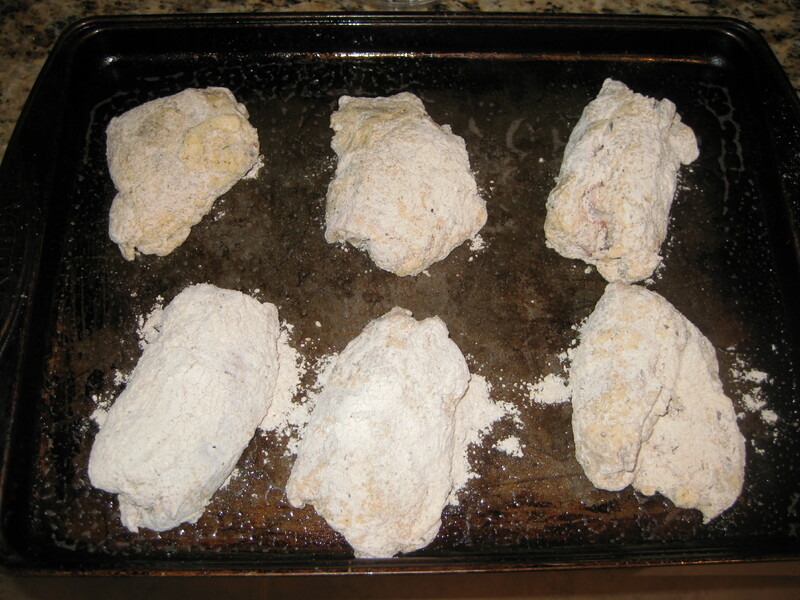 I think it’s called “In the Kitchen with Rosie.” The recipe is officially called “Unfried Chicken” because you would swear that you were eating Fried Chicken, but it’s baked in the oven with only enough oil to grease the pan. Make it coconut oil, and you can’t even feel guilty about that! 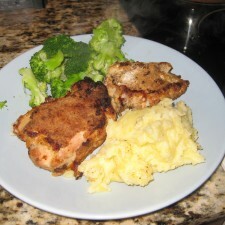 This recipe is great hot or cold, so it would be awesome at a 4th of July picnic. ice water until you are ready to use them. The recipe just works better when the chicken is really cold. Seal bag and Shake to mix well. 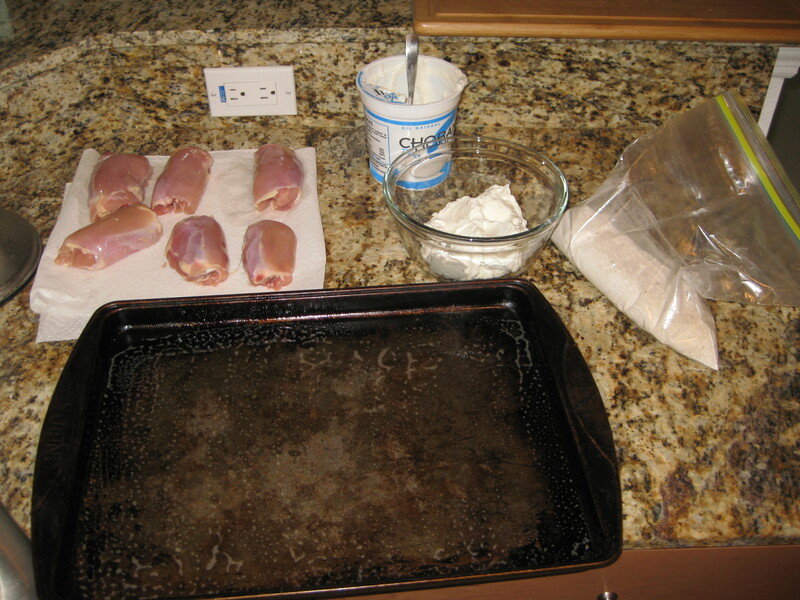 Grease a cookie sheet with Kelapo Coconut Oil and preheat the oven to 400 degrees. 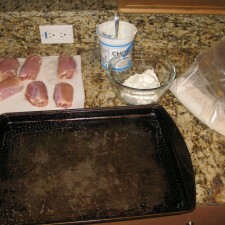 Dip each piece of chicken in Greek yogurt, then drop in bag and cover with crumb mixture. Place on cookie sheet. Your hands will be gross! Make sure you wash with antibacterial soap after. 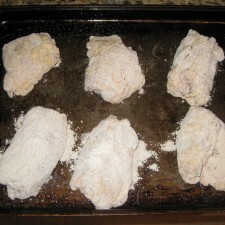 Bake in oven for 30 minutes, then flip chicken over with a metal spatula and bake another 20-25 min, depending on how crispy you like your “fried” chicken.